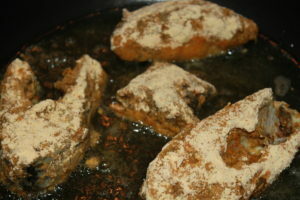 Today’s recipe is ‘Crispy Tilapia Fish Fry’. 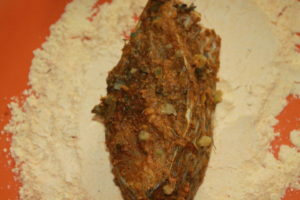 This is my first fish recipe on the blog. 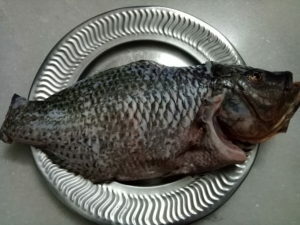 It is an easy starter dish. 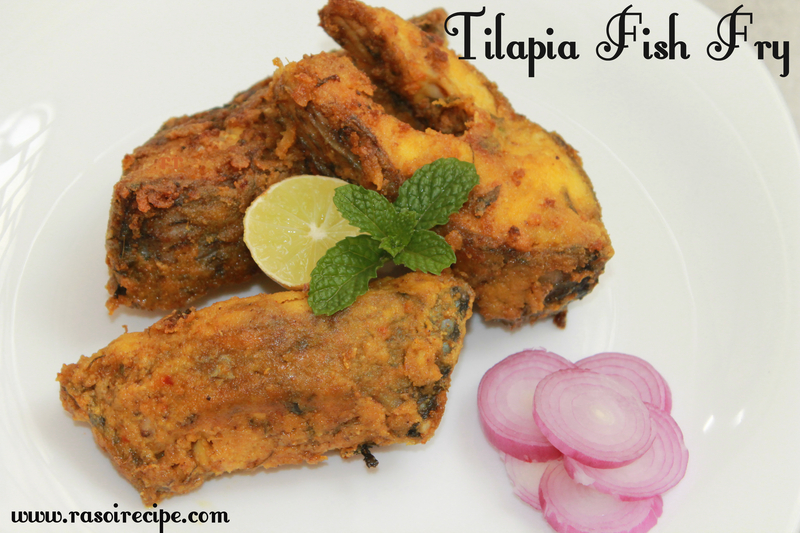 You can choose any fish variety for this recipe, I have used tilapia fish. 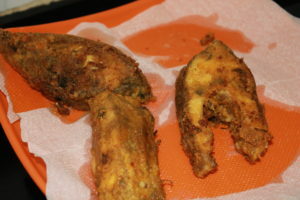 Enjoy fish fry with any chutney of your choice along with onion and lemon. 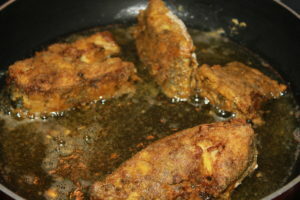 Fish fry can also be served as side dish with dal rice or chapati. 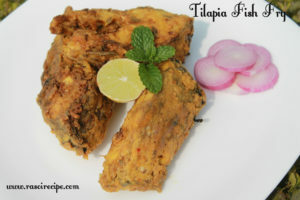 Tilapia fish fry recipe requires – tilapia fish pieces, curd, gram flour, ginger-garlic paste, and few spices. 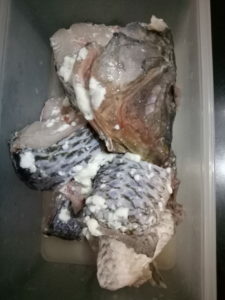 Whenever you fry fish, keep fish pieces in buttermilk overnight, this way you can reduce the smell of fish and fish pieces will remain juicy from inside. Now pour buttermilk on the fish pieces. Keep it covered overnight. Throw away the liquid which is left after soaking fish in the buttermilk. 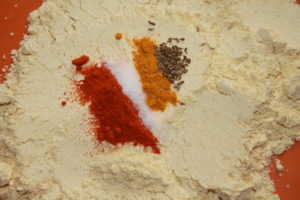 Next step is marination, add red chilli powder, turmeric powder, salt, coriander powder, ginger-garlic-green chilli paste, lemon juice, chaat masala, biryani masala, kasoori methi and amchur powder. 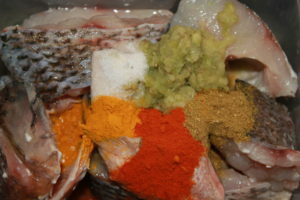 Mix well and coat each fish piece nicely. 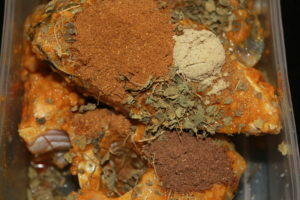 keep aside for marination for at least 15-20 minutes. Next step is up to you, whether to deep fry or shallow fry. Start frying fish pieces until crispy and nicely cooked from all the sides. 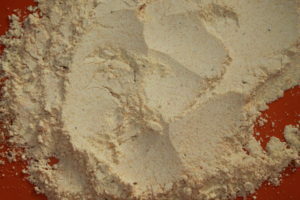 Remove all the pieces on an absorbent paper. Garnish fish fry with mint leaves, lemon wedge and onion slices.